Born William Ward on July 10, 1893 in Belmont, VA. Norfolk began fighting in battle royals in Baltimore, MD. He moved to Panama as a youngster and reportedly adopted the moniker “Kid Norfolk” after the street he was born on. He turned pro in 1914 while working construction on the Panama Canal. Although handicapped by his size (5'8” and 170 pounds), he competed against full-fledged heavyweights and in 1916 the aggressive boxing Norfolk won the vacant Panamanian heavyweight title. In the spring of 1917 he signed with manager Leo P. Flynn who brought him to New York where he met Gunboat Smith (ND 10, ND 10) among others. Norfolk registered an impressive 10 round victory over Billy Miske in Boston on October 16, 1917. Another win over Miske two years later, coupled with wins over John Lester Johnson and Jack Blackburn led to a 1921 showdown with Harry Greb. Norfolk dropped the “Human Windmill” in the first round and captured the 10 round newspaper decision. In 1922 and 1923 Norfolk racked up an impressive string of victories over Tut Jackson, Jamaica Kid, Tiger Flowers and Battling Siki. He defeated Greb in a 1924 rematch via 6th round disqualification. Norfolk would continue to box until 1926 when he retired with an 80-16-2 (31 KOs) record. 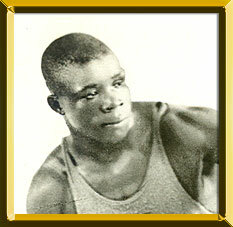 Although he never challenged for a world title, Norfolk is regarded as one of the standout light heavyweights of his era. He died in 1953.